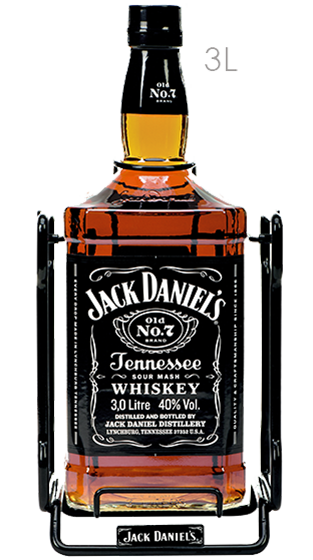 Tasting Note: 3L Jack Daniel's No.7 & Cradle. Jack Daniel's Tennessee Whiskey is made using a very old process of passing the newly distilled whiskey through 10 foot high mellowing vats packed with sugar maple charcoal. Jack Daniel's still insist on the same meticulous processes and draw water from the same natural underground cave in Lynchburg, Tennessee as Mr Jack Daniel did all those years ago.